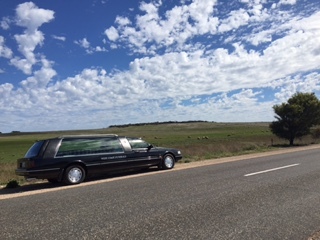 Over many years, as an essential part of our role, we’ve travelled vast distances on the roads of Eyre Peninsula. The Flinders Highway, linking us with Sheringa, Elliston, Port Kenny and Streaky Bay, is one we traverse often. Enduring friendships, which we value greatly, have been formed with people in those communities. Many places along the coastal route have become very familiar to us. Some of them even feel like ‘old friends’. For instance, some distance before Elliston (depending on the season) the verges of the highway may be resplendent with the lilac profusion of fairy statice. This signals that we’re only a short distance from the popular seaside town. We look forward to our rest break at Elliston. There are welcoming places there, such as the Visitor Centre, with its book stall and opportunity shop. 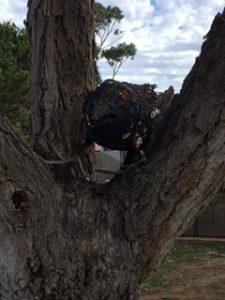 We make sure we have time too to walk through the children’s recreation park, where a weathered black crow sculpture still maintains its lofty presence from a fork in a tree. Leaving Elliston near the caravan park, a quick glance to the left is mandatory. There’s a breathtaking view of the white-capped waves rolling into Waterloo Bay. It never fails to captivate, with the ocean hues ranging from palest aquamarine to deepest sapphire. Just before Talia, on the left, there’s a roadside parking area atop a hill. There’s a tall beacon there – it can be seen from quite a long way off. Not only does it mark one of the highest points in the area, but it’s also is a point of transition, as the open landscape gives way to scrubland. Vigilance is needed on the way to Port Kenny. Not only are there often kangaroos, but also sometimes wombats. We’ve had to slow or stop on many occasions (in common with all road users) to avoid a collision with our Australian native animals. Eventually, the silos of Streaky Bay come into view and there’s only a few kilometres left then to our destination. Soon. 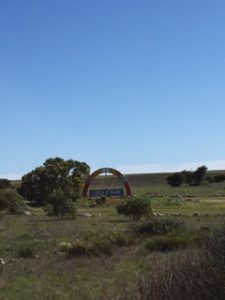 we’re viewing the wonderful bay for which the town is renowned, and feeling the warmth of country hospitality which abounds on Eyre Peninsula. Maybe Christmas won’t be a time of joy?